Abiding by quality focused approaches, we are engaged in manufacturing and supplying premium quality Rubber Gasket. To meet the varied requirements of patrons, we provide the offered wiper seals with metal as well as without metal, different sizes. Moreover, we provide the offered wiper seals as per the details specified by patrons to ensure their maximum satisfaction. Gaskets and seals are an integral part of industrial machines. Without effective gaskets and seals, high-pressure systems are impossible to achieve. Selecting the right material for industrial system gaskets is both an art and a science – there are trade-offs to consider and make between variables such as softness versus hardness, resilience versus stiffness, high temperature versus low temperature, and performance versus cost. 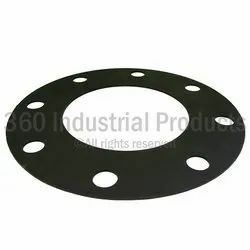 At 360 Industrial Products, we offer gaskets for industrial systems that are manufactured from a variety of materials. Some of the more popular materials and their advantages are discussed below. 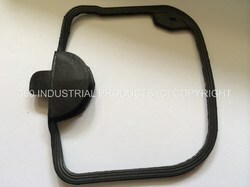 Gaskets made from nitrile (Buna N) rubber are used widely. Nitrile rubber gaskets perform well in many industry. 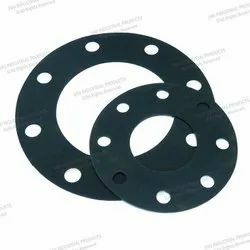 These gaskets have excellent resistance to oil, have a practical temperature service range, resistance to oxidation and aging, and generally cost less than gaskets made from more advanced elastomers. Viton® is a brand of fluoroelastomer (FKM) developed by DuPont. It is often used to fabricate gaskets for applications where high reliability is desired, Viton® possesses good heat resistance characteristics. And is impervious to attack by many chemicals. While gaskets made from Viton® may be more expensive than those made from some other materials, the higher initial cost is often more than offset by the longer gasket life cycle. PTFE gaskets are widely used in hydraulic systems as well as in pumps, valves, and flanged joints in piping and transfer equipment. These gaskets have a very low coefficient of friction, low creep, and an ability to service a wide range of operating temperatures, from -400°F to 500°F. A key advantage of PTFE gasket material is that is among the most chemically resistant materials known. The ability to resist chemical attack makes PTFE gaskets an excellent choice for many systems applications. Polyurethane gaskets combine the advantages of rubber and plastic. These gaskets resist abrasion and combine hardness with resiliency and excellent dynamic load-bearing capacity. Because they combine plasticizers with rubber, these gaskets tend to out-wear most standard rubber gaskets when place in power systems. EPDM is an acronym for the ethylene-propylene-diene monomer. Ethylene and propylene are hydrocarbons and gases at room temperature, yet combine to make solid polymers like polyethylene and polypropylene. By adjusting the proportions and controlling the polymerization process it’s possible to create long molecular chains with more rubbery properties. That’s EPDM. Sometimes referred to just as EPM, EPDM is a very stable material that resists heat, oxidation, and the aging effects of ultraviolet light. Silicone is soft and elastic, which makes it a good choice in many gasket applications. Silicon and silicone are closely related. Silicon is a naturally-occurring element while silicone is a polymer that combines silicon atoms with those of oxygen and the H3C hydrocarbon compound. Gaskets and seals are an integral part of hydraulic (sometimes known as fluid power) systems. Without effective gaskets and seals, high-pressure systems are impossible to achieve. Selecting the right material for hydraulic system gaskets is both an art and a science – there are trade-offs to consider and make between variables such as softness versus hardness, resilience versus stiffness, high temperature versus low temperature, and performance versus cost. 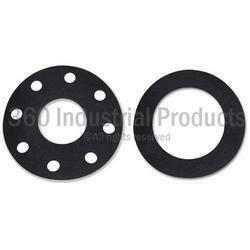 At 360 Industrial Products, we offer gaskets for hydraulic systems that are manufactured from a variety of materials. Some of the more popular materials and their advantages are discussed below. Gaskets made from nitrile (Buna N) rubber are used widely in hydraulic systems. Nitrile rubber gaskets perform well in many hydraulic systems. These gaskets have excellent resistance to oil, have a practical temperature service range, resistance to oxidation and aging, and generally cost less than gaskets made from more advanced elastomers. PTFE gaskets are widely used in hydraulic systems as well as in pumps, valves, and flanged joints in piping and transfer equipment. These gaskets have a very low coefficient of friction, low creep, and an ability to service a wide range of operating temperatures, from -400°F to 500°F. A key advantage of PTFE gasket material is that is among the most chemically resistant materials known. The ability to resist chemical attack makes PTFE gaskets an excellent choice for many hydraulic systems applications. Polyurethane gaskets combine the advantages of rubber and plastic. These gaskets resist abrasion and combine hardness with resiliency and excellent dynamic load-bearing capacity. 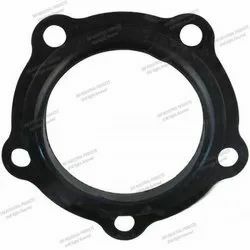 Because they combine plasticizers with rubber, these gaskets tend to out-wear most standard rubber gaskets when place in hydraulic power systems. When buying elastomeric material to seal joint many people go straight for neoprene gaskets. Neoprene works well in many applications, but there are cases where other materials will perform better. One such material that should be considered for outdoor use, or situations where abrasive wear is possible, is EPDM. Relatively immune to sunlight, water, and low temperatures, EPDM is often a smart choice for gaskets that will be outside. Good compression set resistance means it recovers well in applications where a joint may open up from time to time, and high electrical resistance means EPDM gaskets may be appropriate for some electrical installations. In the gasket, world silicone is known as a high-performance material with a wide temperature range and good flexibility. In many applications though, an EPDM gasket could be a more cost-effective choice. Its temperature range is almost as wide and it’s a stronger, more durable material. EPDM is available in a wide range of formulations with properties that vary considerably. To get a better understanding of EPDM gasket material options for your application a discussion with the specialists at 360 Industrial Products. is recommended. Contact us today. Temperature -100 degree F to +400 degree F (-73 degree C to 204 degree C). Polytetrafluoroethylene, or PTFE, has a number of properties that make it an excellent choice for a food grade gasket. At the atomic level, it consists of a long chain of carbon atoms, each one of which links to two fluorine atoms. This linkage is so strong that PTFE won’t bond to anything else, hence its non-stick properties. PTFE doesn’t melt until 635°F and is usable at temperatures up to 260°F. At lower temperatures it remains flexible well below freezing, as low as -100°F or even lower, depending on the formulation. It’s also a good electrical insulator. Of particular relevance for food industry gasket applications, it doesn’t absorb water and it’s biologically inert. It does, however, resist attack by almost all chemicals, including aggressive cleaning and disinfecting agents like chlorine dioxide. Other materials have properties that are close or superior to PTFE in some regards. Silicone, for example, is flexible at low temperature, has good compressibility and a higher upper-temperature limit. However, silicone does not fare well with steam, which is found in many food preparation environments. It also lacks resistance to acids, alkalies, and chlorinated solvents so are limited in its potential as a food grade gasket. Color Red, Orange, Black, Transparent & White. What a difference an “e” makes! Silicon is the material of electronics. It’s hard and brittle and makes lousy gaskets. Silicone, on the other hand, is soft and elastic, which makes it a good choice in many gasket applications. Here’s what makes this polysiloxane material so useful. Material PTFE, EPDM, Neoprene, Viton, Nitrile. 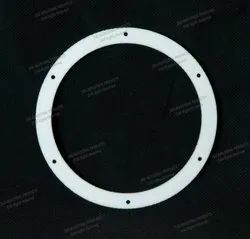 A PTFE envelope gasket is a composed gasket. The product consists of an envelope of PTFE with an inlay. The envelope gasket is mainly applied as a flange gasket in applications where a high chemical and high-pressure resistance is required. · Wide temperature range. This depends both on the envelope as the inlay material. · Good pressure resistance, depending on the choice of the inlay material. In a chemically aggressive environment, where pollution of the medium is not allowed, it is complicated to apply a standard gasket. Here PTFE envelope gaskets are applied as flange gaskets. For example, in the (petrol) chemical industry, and in the process industry. The envelope gaskets are also ideal for application in the food industry. PTFE is physiologically inert and may be used in direct contact with food. The load on a gasket is referred to as the gasket sealing stress. Higher load equates to higher gasket stress. Uneven gasket stress is a bad thing, primarily because more creep relaxation is experienced where the load is higher. Especially when coupled with high internal pressures, temperature cycling, and vibration, this leads to reduced service life and higher maintenance costs. When replacing a failed gasket examine it carefully for signs of uneven compression. If it looks like the outer edges suffered excessive compression, consider replacing it with a constant sealing stress gasket. The material specialists at 360 Industrial Products Co. can help you understand your options. Neoprene, which is also known as “polychloroprene,” is a type of synthetic rubber produced by the polymerization of chloroprene. Neoprene gasket material has become very common due to the fact that it resists the likes of ozone, sunlight, oxidation, and many petroleum derivatives. Additionally, neoprene is characterized as being weather-, combustion-, water- and chemical-resistant. As you can see, it’s popular because it is resistant to many types of damages. What’s more, it’s also resistant to damage from twisting and flexing. We fabricate neoprene gaskets through proven manufacturing processes that include waterjet cutting, flash cutting and die to cut. High-Grade Neoprene—100% Neoprene is extremely resilient in the harshest, most demanding environments while maintaining its resiliency, abrasion resistance, and tensile strength. Diaphragm Neoprene—Polyester insertions improve performance under high-pressure applications requiring high levels of oil and petroleum resistance. Please contact 360 Industrial Products if you have any questions about the different grades of neoprene that might best fit your application. We can custom manufacture any neoprene gasket you need to the most accurate specs possible. Viton is one of the more exotic gasket materials. It’s actually a form of synthetic rubber known as a fluoroelastomer and referred to in ASTM D1418 terminology as “FKM”. Whether FKM or Viton, gaskets made from this material have an impressive range of properties. It's a downside is that the material itself is expensive. That’s why custom Viton gaskets are held in reserve for the most challenging sealing applications. The ASTM D2000 standard for classifying elastomers grades FKM as HK. The “H” indicates its performance deteriorates only slightly after prolonged exposure to temperatures of 250°C (480°F), (and it still functions at 300°C (570°F).) At the other end of the temperature scale, FKM can still provide effective sealing at -40°C (-40°F). As regards other aspects of chemical resistance, FKM withstands ozone, hydrocarbon lubricating oils, and typical automotive fuels. Where it performs less well is against strong acids, alkalies, and ketones. FKM is used extensively in the aerospace industry, to an extent in automotive applications, and more prosaically, around freezer doors. It’s UV resistance also makes it a good choice in situations of prolonged exposure to sunlight. Hydrogenated Acrylonitrile-Butadiene Rubber commonly referred to as HNBR. Good physical characteristics and chemical resistance to the most common hydraulic fluids makes HNBR excellent sealing material. Rubber compounds mixed with hydrogenated nitrile butadiene rubber and highly saturated nitrile (HSN) rubber are known for strength and retention of properties after exposure to heat, oil, weathering, and many industrial chemicals. HNBR delivers resistance to oil, gas, and steam that is superior to standard nitrile butadiene rubber (NBR) and other polymers. HNBR can be used from -40° to 165°C with minimal degradation over long periods. These improved properties in HNBR rubber result from hydrogenating NBR to increase the butadiene saturation of the carbon polymer foundation. HNBR typically has poor electrical and flame resistance. It is also attacked by aromatic oils and polar organic solvents. Applications for HNBR include automotive seals, hoses and synchronous timing belts; seals and other components for manufacturing and oil field exploration; roller coverings for steel and paper mills and other situations calling for a high-performance elastomeric compound. Compounding HNBR successfully requires excellent control of the manufacturing process. Preferred can produce HNBR compounds in sheets, slab, strip and calendared.